Several years ago, I always use all in one seo pack wp plugins to assist the process of on page SEO. Then, a friend advised me to use WordPress SEO by Yoast. And what happened, I was impressed with this plugin. WordPress SEO by Yoast helped me fix the on page SEO. WordPress SEO by Yoast has the ability to configure the link section which may be indexed by search engines. Too many indexes on google is not good for a website, can be accused of being a web spam by google. and it will lower the position in the search engine result. WordPress SEO by Yoast better understand the process of on page SEO and match for 2014. In this article, I will gather the best resource for you and of course for me: how to optimize the use WordPress SEO by Yoast. The end goal is, we get a lot of visitor from google, bing, yahoo and another search engine. You will guide to setting up social section in wordpress seo by yoast. This tutorial including setting up for twitter, google+ and facebook. You need twitter account, google+ profile and facebook account. If your template is not good, sometimes when creating and accessing the sitemap for first time, you will find not found page or 404 error code. This must be fixed immediately. Sitemap feature is very important that Google and other search engines to index your website easily. 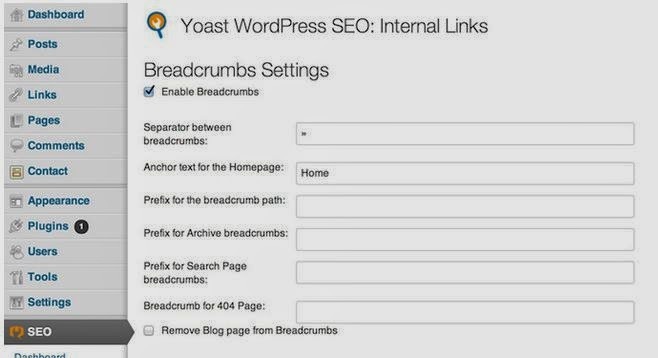 Those are some useful resources to guide you find the best configuration of WordPress SEO by Yoast.